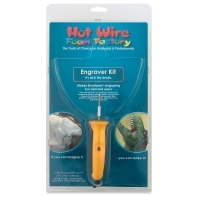 Add gorgeous detail to your foam creations with the Hot Wire Foam Factory Precision Engraver Kit. It's the fun, fast, and easy way to engrave foam sculptures, models, letters, signs, and more. The pointed tip of this fine finishing tool heats up in less than a minute and engraves continuously — no cooling-off time needed. The short 2" brass shaft gives you precise control as you work. 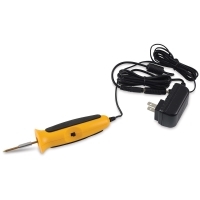 The on-off switch is located on the comfort-grip handle. Melt through EPS foam cleanly and accurately. The kit includes the precision engraving tool, an AC adapter with a lightweight 12 ft cord, and instructions.